Sometimes life can be tough. As hard as you try to be positive, things just refuse to go right for you. 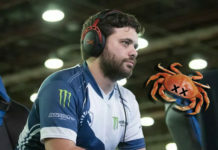 On days like these, all you want is to go home and play some video games to help you relax. Ordinary games with there tense action and complicated puzzles won’t do though. You need a game that will put a smile on your face. So here is my list of five feel good games that are perfect to play on those stressful days. When you are feeling down, what better pick-me-up then some colorful creatures that you can lure to your garden as residents? 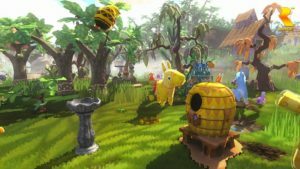 In Viva Pinata, your only goal is to make a more attractive garden for the local pinatas. As your garden improves, pinatas will come for a visit and if conditions are right will become residents. Wild pinatas are all black and white at first, but burst into bright colors once they decide that your garden is their new home. You can build them houses and have them romance to gain new mini additions to your garden. As the game progresses you can also change bad pinatas, dubbed sours, into good pinatas and prevent them from wreaking havoc on your garden. As you improve your gardening rank, you will get more opportunities to befriend increasingly rare pinatas. Viva Pinata is the perfect game for when you want to curl up with some colorful, cuddly friends. When you feel troubled why not take those problems and roll,roll,roll them away? 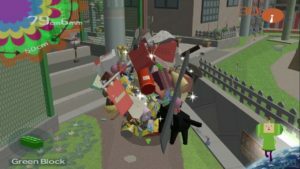 Katamari allows you to do just that. You take on the role of Prince, son to the eccentric King of All Cosmos (who has a bulge that puts David Bowie in Labyrinth to shame), and his vibrant variety of cousins. Your only goal in the game is to roll up as many things into a ball as you can within a certain time. You start off small, rolling up odds and ends inside of a single room. By the end though, you will be rolling up the entire earth or even the entire universe! There is an unexpected comedy in listening to the screams of bystanders as you roll them up as additions to your gigantic sticky ball. On top of the colorful atmosphere and fun gameplay, Katamari’s soundtrack is unmatched with upbeat Japanese songs that will have you singing along in no time. Who are you gonna call when the ghosts come out to play? 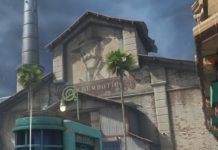 Unexpectedly, a plumber in a green hat with a famous brother. 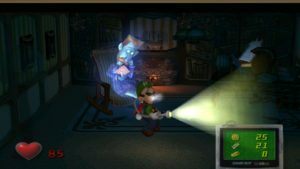 In Luigi’s Mansion, you take on the role of the titular brother as he exorcises a mansion filled with ghosts and ghouls in an attempt to rescue his brother Mario. How about that for a plot twist? Your only weapon against these ghastly creatures is a souped-up vacuum cleaner designed by Professor E. Gadd. As you progress through the mansion, you will discover new and interesting ghosts who have their own unique ties to the spooky mansion. Don’t get comfortable though, because this game is no walk in the park. Some of these ghouls will give Luigi a run for his money, particularly when he must take on the infamous King Boo and Bowser. Do you love games like Harvest Moon but wish there was more emphasis on the animals? Yonder might just be the game for you. You play as an unnamed protagonist who becomes stranded on an island when their boat capsizes. Shortly after discovering a town, you are gifted a small parcel of land in which to start your own farm. You can plant crops, build structures and most importantly, collect the world’s endemic life to become new members of your farm. All you have to do is lure them in with their favorite snack and they will gladly live in your cozy structures. This game offers some unique and cuddly creatures such as pigs covered in flowers, giant round rabbits and some buffalo-looking critters known as groffles. 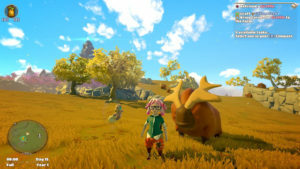 In addition, the game encourages exploration by offering unique environments in which you can find a variety of plant and animal life. You can also join guilds to improve your skills such as the tinker, tailor, or carpenter’s guilds. Your primary goal is to save the island by collecting spirits who help you dispel areas of darkness enveloping the land. What could make you smile after a long day more than becoming a resident of a village filled with adorable critters? In Animal Crossing you play the role of a newcomer to a small village. You are given your own small home and encouraged to mingle with the locals. Your primary goal is to live a simple life of improving your home and building relationships with the locals. You can fish, harvest plants and bugs, and purchase outfits for your character. 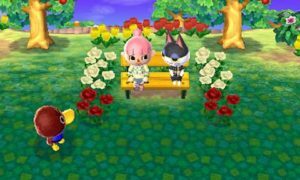 Animal Crossing presents a unique and laid back environment in which you can live out a life of your choosing as you make improvements to your village. The simplicity of the game is what makes it a truly interpretive and enjoyable experience. Do you have any happy feel-good games? Tell Nerdbot about it in the comments and get the conversation going! I would like the piñata one and the yonder one. The groffle in the picture is adorable!